I recently came across this bottling of Karuizawa that I have never seen before. From what I have gathered it was released about 10+ years ago. 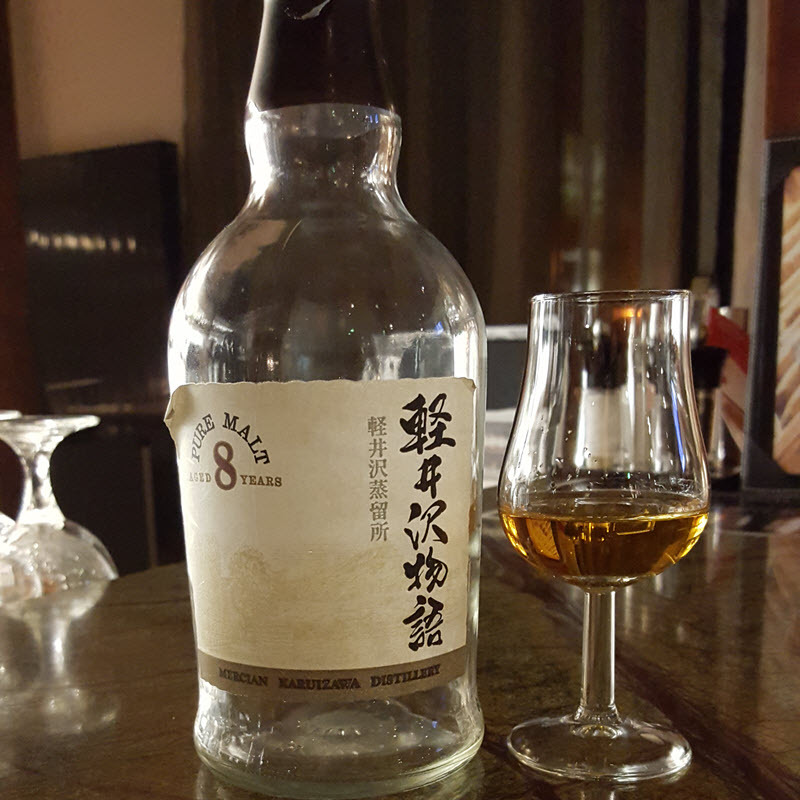 The Karuizawa 8 YO Pure Malt was an exclusive for the Japanese market. Karuizawa distillery was established back in 1955. They ceased production in 2000, and was finally closed/demolished in 2011. I cannot find any bottles of this whisky for sale online, but I assume you have to pay a few hundred euros if you do find it. After all, anything that is labelled 'Karuizawa' seems to be a collectors' item these days. Nose (21/25): Relaxed and firm at the same time. Old marshmallows (What? Yes, you heard me), soft malt, sweet licorice, prosecco mixed with powdered sugar. Very pleasant, if a bit lacking in complexity. Taste (21/25): Quite rich. Medium sweetness. Soft spices, and a plum or two. Some oakiness. Cool, with more than a few hints of mint and other herbs. Finish (20/25): Relatively short. A tad sweeter now. The spices gone. The herbs blooming, or whatever it is that herbs do, all I know is that there's a lot of them. Balance (20/25): An OK dram, but nowhere near the legendary quality you can get from many old Karuizawa's. This one felt a bit 'simple', but it was fun to try.